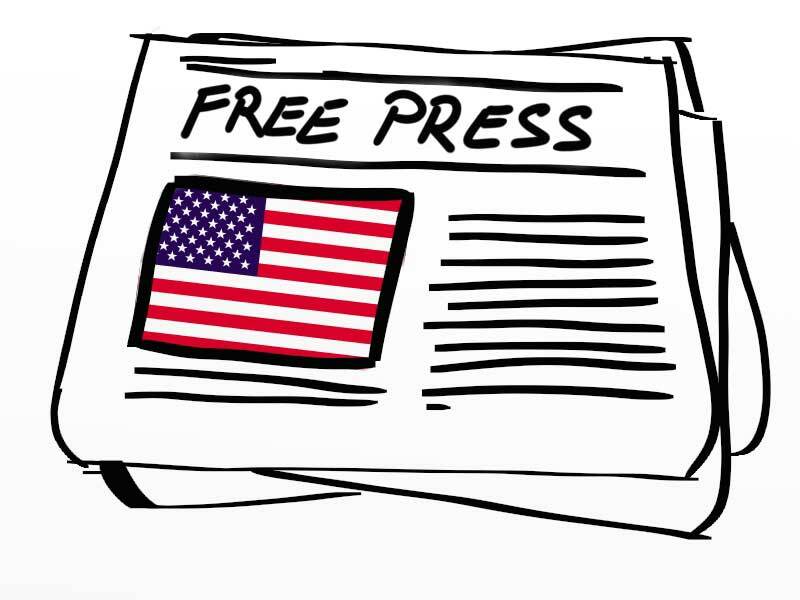 Share the post "Keep Free Press Free"
The unsettling events in our world today cause me to be ever thankful that I live in a country where we continue to have freedom of the press. In spite of the issues our country has as a whole, we are still very fortunate to live where our words are not hushed nor our news coverage censored. I’ve been anxiously watching the happenings in Ukraine where there is a population of over 40 million people who’ve recently decided to break many of their economic/political ties with their manipulative neighbor Russia and move closer towards becoming a part of the European Union. Because Russia is basically a country controlled by very few who seem to stay in power via their tweaking laws as they see fit, we find millions upon millions of the general public living in Russia who have been duped into believing something that is completely different than what is really happening in Ukraine. All of the media in Russia has been censored since the beginning of Ukraine’s breaking company with Putin and his wishes. Now that is indeed scary. Mounds of lies are told their citizens about what is going on in Ukraine including nearly all Russian folks being informed that the new government is Nazi or fascist. Just imagine what it would be like if all of our media had to be viewed by government paid censors before it could be aired or printed. Someone coined the phrase some centuries ago, “The pen is mightier than the sword.” When you think about it, those words are so very true. Many wars would have never existed had the general public been privy to what was really happening within their governments. The gluttony of those working towards absolute power are truly evil because of the pain they inflict on the un-informed general public. The leader of Russia is a master of deception simply because he has some grandiose secret plan in his mind. I fear leaders of countries like Russia because they seem to set a precedence for others. We as Americans must take these happenings in Ukraine as a reminder that people who reach for real democracy within their country pay a dear price because of those who will go to any lengths to maintain their imperialistic hold on another sovereign nation. The war that is going on in Ukraine is not a war for oil, not a tribal war, not even a religious war, but a war of democracy. Sounds a bit familiar with what happened in our country beginning back in 1776. I hope and pray that Ukraine with triumph in her battle for democracy and she too will enjoy democratic freedom including the freedom of the press.